Varun Dhawan and Anushka Sharma are excited about their upcoming release Sui Dhaaga – Made In India. The actors are currently busy promoting their film as the release date fast approaches. Varun and Anushka were snapped in Mumbai at a promotional event on September 4, 2018. 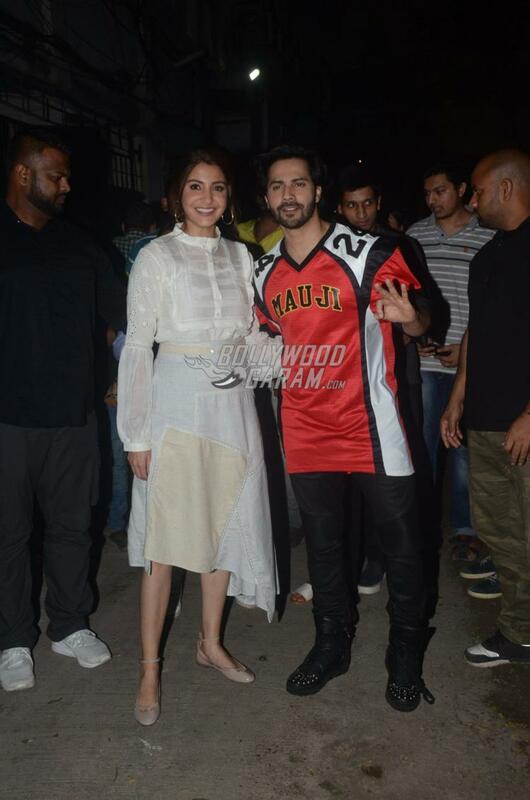 Anushka looked pretty in a white asymmetric outfit while Varun looked cool in a red over-sized t-shirt which had his character name Mauji written on it with black pants. Varun will be seen playing the role of a tailor named Mauji while Anushka will be seen playing his wife Mamta, who is an embroiderer. The film talks about self-empowerment and also takes forward the campaign of Made In India. Sui Dhaaga – Made In India is directed by Sharat Kataria and showed the journey of a couple in terms of entrepreneurship and self reliance. Anushka and Varun were seen outside a film studio and posed for the cameras. 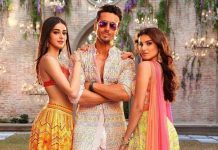 The trailer of the film has struck the right chord with the audience, who cannot wait for the film to be released.